When I graduated high school my parents gave me the Dr. Seuss book Oh The Places You’ll Go; this is a somewhat common graduation gift and at that point in your life everything seems possible. October 21st marked the one year anniversary of my tenure at PRA; I can hardly believe it’s been over a year already, it went by so fast and I’m excited to see what the next year will bring. 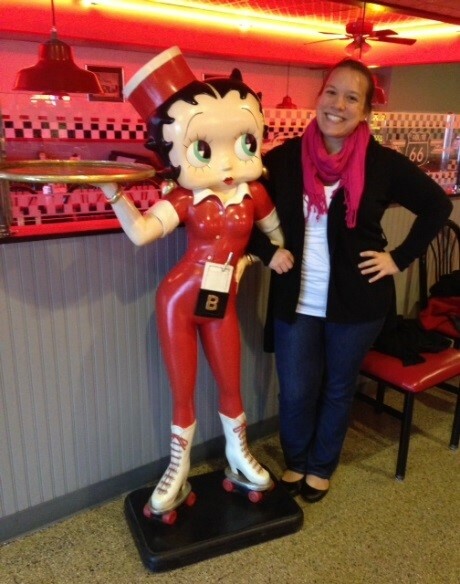 One of the best parts of working for the SOAR TA Center is the ability to travel – and travel a lot! When my parents gave me the Dr. Seuss book little did they know that ‘Oh The Places You’ll Go’ would be so literal. In the past year I have been to more airports than I can count and I was able to travel to areas of the country I would have never imagined; I also met some of the nicest people and above all I have been able to share SOAR with countless communities. Whenever I travel I always try to take advantage of the area; whether it be trying a new restaurant, seeing the local sites or just walking around – I try to explore as much as possible. What follows are some of my favorite pictures and stories from a year’s worth of travel! Last February, my coworker Kristen Lupfer and I road tripped across the state of Iowa; we held forums in both Des Moines & Davenport. Anyone who is familiar with the Midwest knows that the weather can be very unpredictable, especially in the winter. 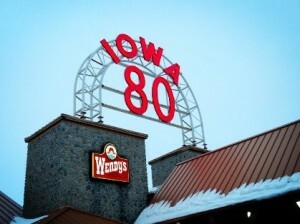 I remember it being very cold and very snowy, but that didn’t stop us from making a pit stop at the World’s Largest Truck Stop off of the famous Iowa 80 Interstate. The World’s Largest Truck Stop is also home to the National Trucking Museum! Topeka, Kansas was a great place to visit. I traveled to both Kansas (Topeka & Pittsburg) and Missouri (Kansas City) in April and I can say with confidence that I don’t think I’ll ever return to the area in the early spring again. Let’s just say that the constant threat of tornados did not sit well with me! Topeka & Kansas City are also famous for great BBQ and during my trip I ate my fair share. 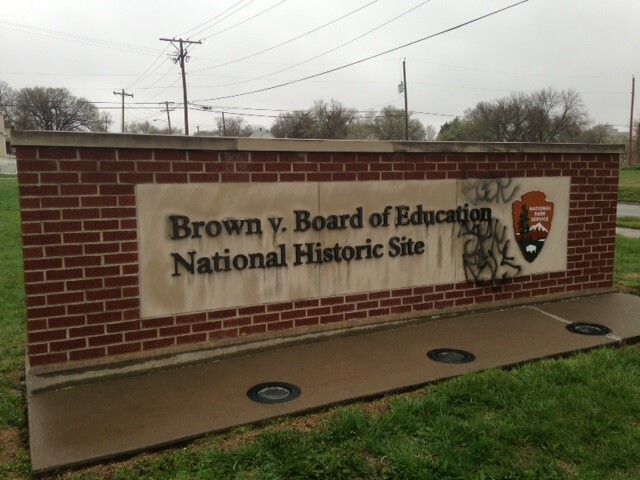 While traveling from Kansas City to Topeka I began seeing signs for the Brown vs. Board of Education Museum and National Historic Site; I decided to stop and visit. 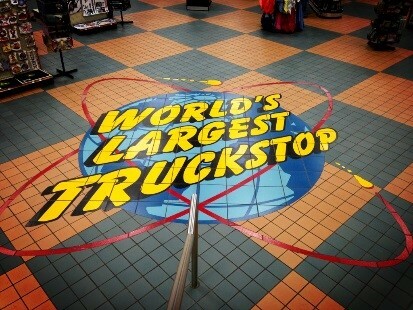 That’s one of the greatest things about road trips – you never know what you’ll find! The Brown vs. Board of Education Museum was really interesting and I was so glad I stopped. It is housed in one of the schools that was a part of the original lawsuit and it gave a very real and powerful glimpse into education segregation in this country. 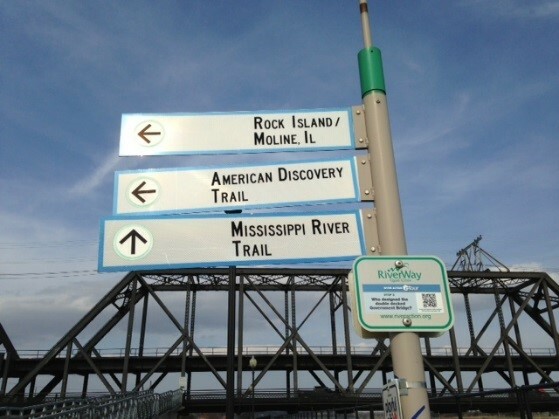 While in Davenport, Iowa I took advantage of visiting a town on the banks of the Mississippi by going for a run along the river. 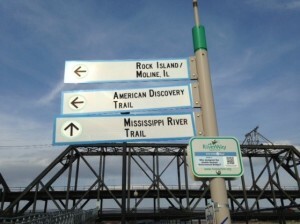 The Mississippi River splits the states of Iowa and Illinois and the bridge in the background of the picture on the left connects the two states; runners are also able to cross the bridge. 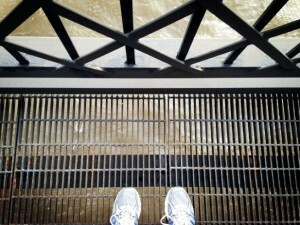 The picture of my shoes on the right was taken halfway across the bridge in the middle of mighty Mississippi. 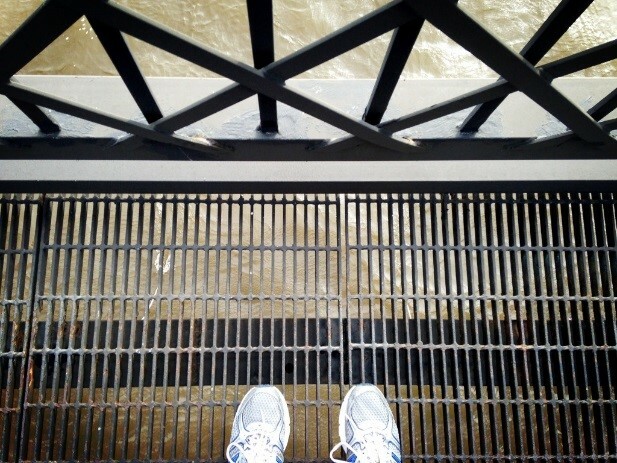 And being that the bridge was grated you can see straight down to the water! 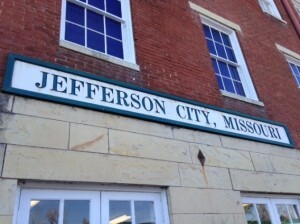 Jefferson City, Missouri was a great place to visit! 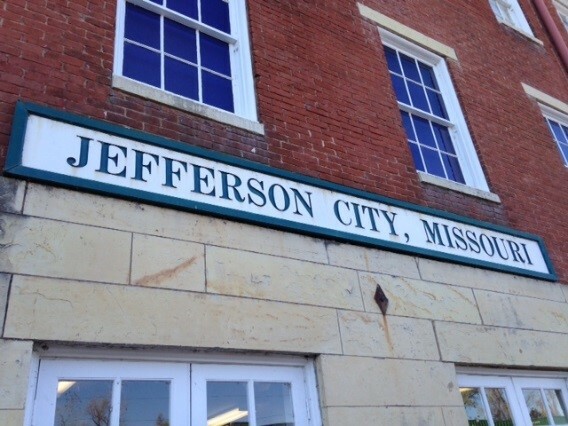 Much like Albany, Jefferson City is the capitol of the state but far from its largest city. 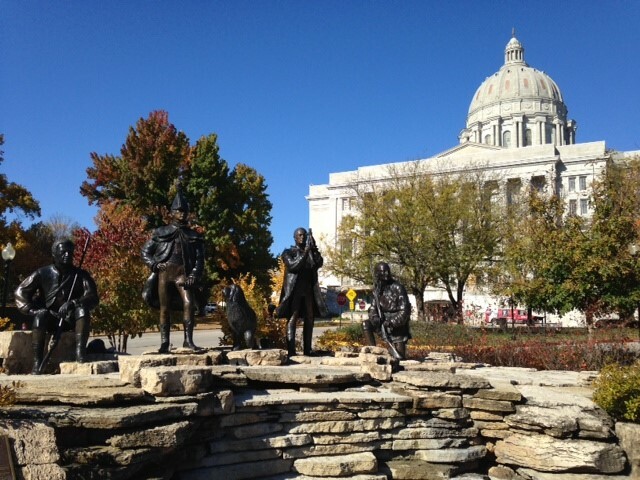 One very chilly morning I headed out for a run and to explore the downtown a little bit; I ended up finding the state capitol and a monument to Louis & Clark and their expedition. 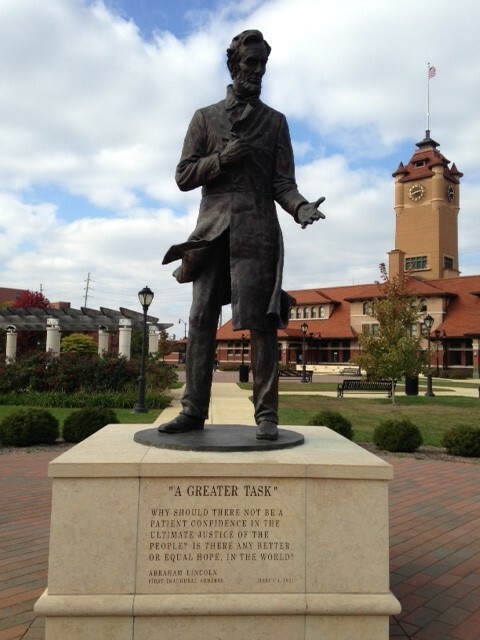 Springfield, Illinois is the land of Lincoln and after conducting a SOAR forum in the city, Deb Dennis and I were able to do some ‘speed tourism’ before driving back to Chicago to catch our flight home. 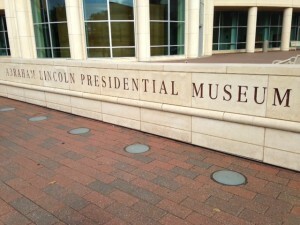 Our fast paced tour included the Abraham Lincoln Presidential Library & Museum. 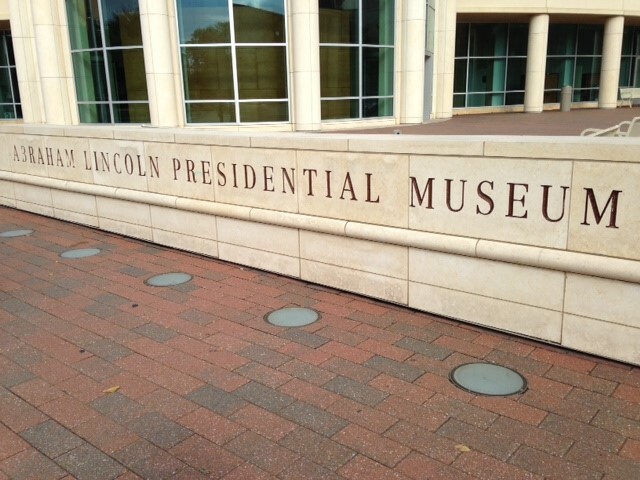 We both swore we would go back at some point to spend more time at the museum and visit the town. 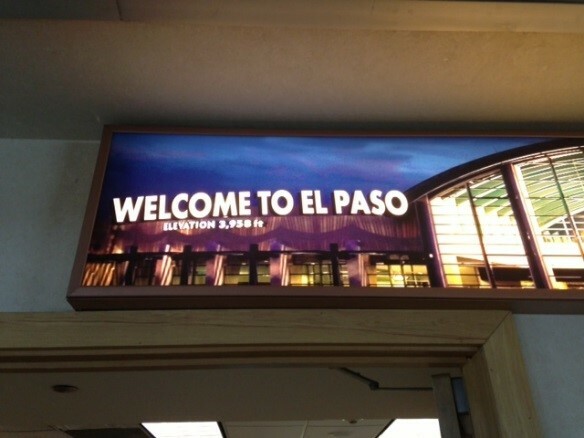 Traveling to El Paso, Texas was an amazing experience! 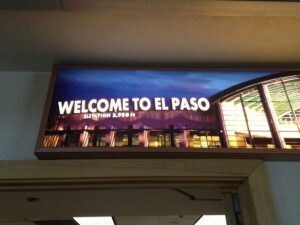 Prior to going there I had never been to the Southwest and the terrain and culture blew me away. 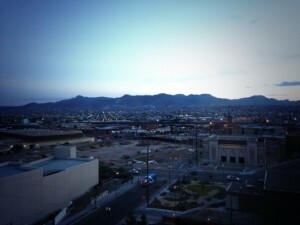 Being that close to the Rocky Mountains and the border with Mexico was great. 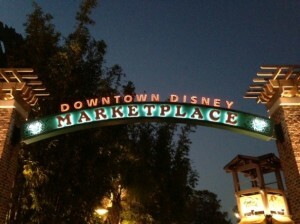 Pam Heine and I were also able to dine on some pretty stellar Mexican food. 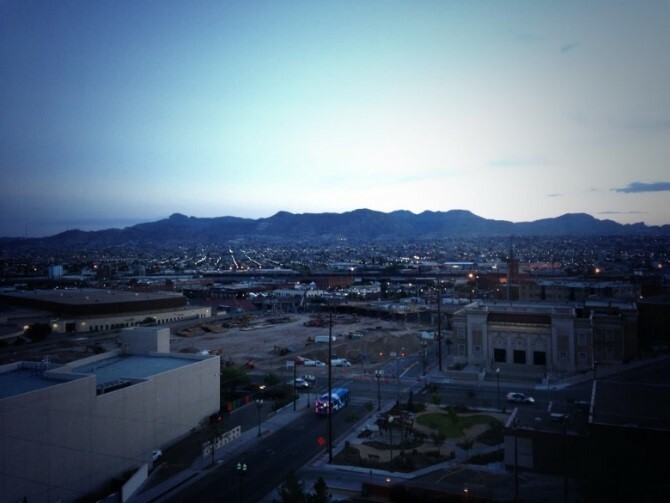 The picture on the right is of Juarez, Mexico and it was taken from my hotel room window. The hotel we stayed in was only 1.5 miles from the boarder. New York City is always a great place to go for work. Even though Delmar is only about 2.5 hours from the city, I don’t travel there nearly enough – so whenever I get the opportunity to travel to NYC for work, I always try to take advantage of the evenings. The first picture was taken from Brooklyn looking over to Manhattan. I had finished a training and had some time to kill before heading to Penn Station to catch my train and I ended up walking around Brooklyn Heights and then down to the edge where the borough meets the Hudson River. There I found an amazing view and got this picture. The second picture was taken while walking The High Line in the Chelsea area of NYC. While attending the National Alliance to End Homelessness Conference in Washington, D.C. 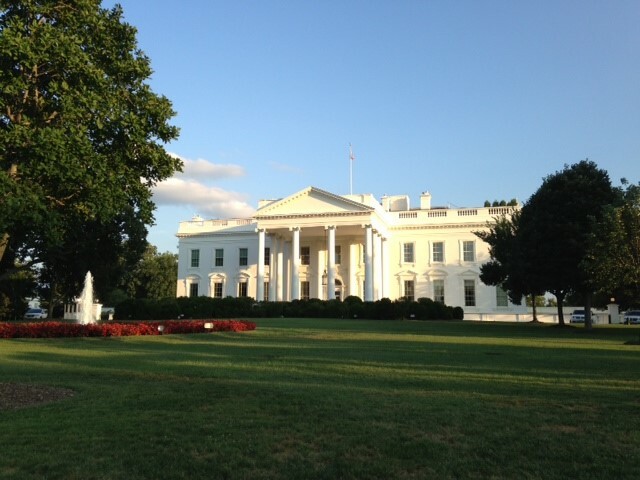 I went for a walk and found The White House! Being able to travel with your coworkers is always fun. So when the SOAR team held a Train-the-Trainer in Orlando, Florida we used our downtime to walk around Downtown Disney and enjoy Universal Studios. 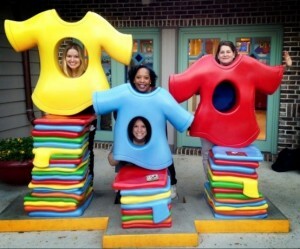 The picture of the four of us (Jen, Dazara, Pam Heine and me) is one of my favorites of the SOAR team! These pictures are just a few of many that represent the trips and travels I have taken as a member of the SOAR team. Here’s to more SOAR’ing in the future! (The picture on the left was taken at a 1950’s truck stop diner off a highway in Central Illinois).